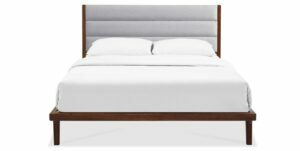 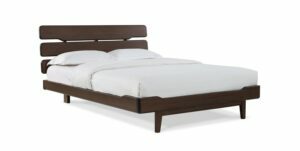 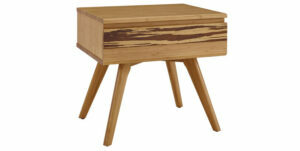 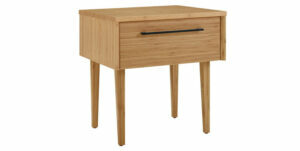 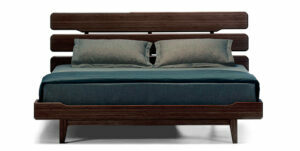 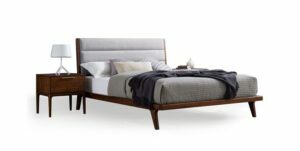 Made in solid bamboo, the Azara platform bed features sleek mid-century styling, clean lines and angled tapered legs. 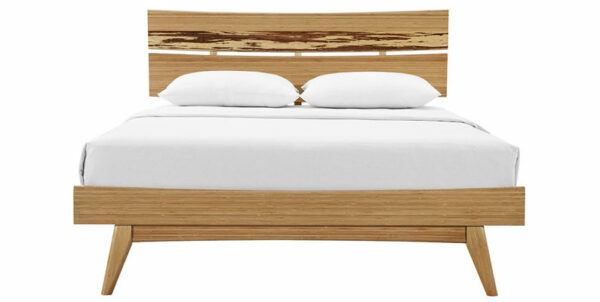 The elegant sweeping headboard shows off a beautiful accent panel crafted in solid exotic Tiger bamboo. 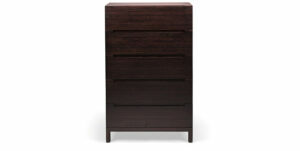 Available in Queen, Eastern King, and California King sizes, in both caramelized and rich Sable finish. 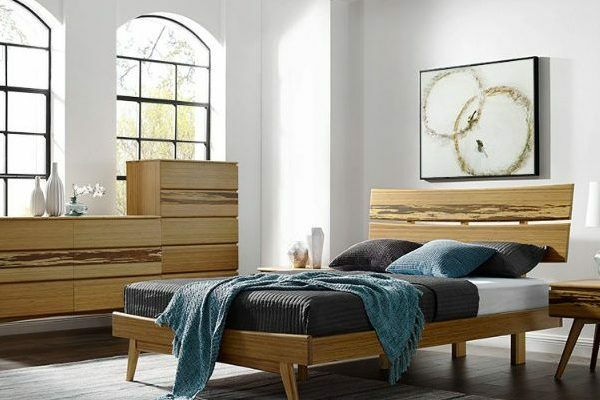 The coordinating Azara bedroom chests each feature an accent drawer faced in solid exotic Tiger bamboo, angled tapered legs, hidden under mount drawer glides and soft closing drawers. 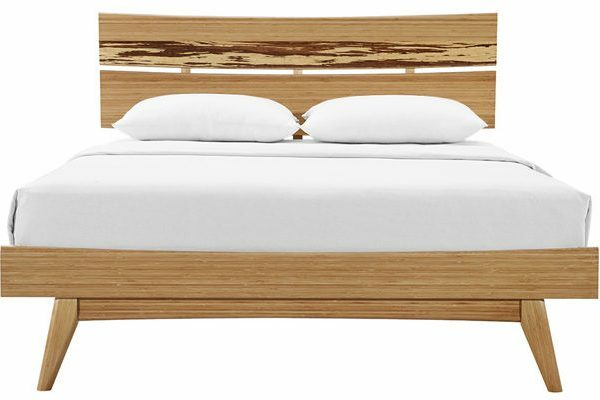 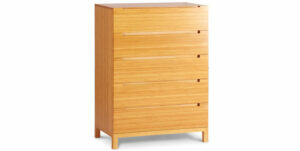 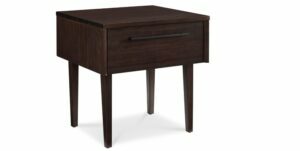 Expertly crafted in earth friendly solid bamboo, Greenington combines beautiful design, rich colors and a winning sustainability story.